One of the main reasons for my last visit to Malta was to try out the scuba diving. I do already have my PADI open water divers licence but had not dived in over three years and was keen to get back in the water. I chose to use a company called Paradise Diving located right near the ferry crossing to Gozo in Cirkewwa. Paradise Diving was established in 1991 and is a fully licensed diving school which is also regulated by the tourism authority, (MTA). As their brochure suggests I found their staff to be some of the friendliest and helpful that I have ever met. The diving instructors at Paradise Diving have an extensive knowledge of all the best dive sites on the Maltese islands, which was actually bourne out on the first day that I was due to dive, when I woke up and was greeted with a really strong wind and rough seas, my heart sank and thought we would never dive in these conditions. Not so when I arrived at their offices, right on the beach, they had already loaded up their truck with all the heavy diving equipment and said that we would travel to the south of Malta as they knew of a dive site that was not only excellent, but would be sheltered from the wind and rough water. The journey to the dive site took about 45 minutes and was filled with excited chatter about diving with other divers and Will, our Dutch instructor but who has been living on Malta for over 4 years. Our group of divers was small only 5 of us and we ranged in abilities from myself a P.A.D.I Open Water Diver, a couple who were training for their Advanced Open Water license and another couple who are getting the required 60 dives under their belt so that they can train to become diving instructors. Because I had not dived in ages, it took me a while to get back into the swing of things, especially setting up my diving equipment, Will was really helpful and patient and we were soon in the water. My first dive was pretty much refresher dive for me, just to remind me of all the appropriate hand signals and other safety precautions. What is the diving like in Malta? Based on my experience it is excellent, you will not see huge amounts of marine life but the water is absolutely crystal clear with excellent visibility. The main attractions of diving in Malta is to view wrecks and underwater caverns. On my second day of diving we visited The Rozi Tugboat which was sunk in 1991 and is an outstanding diving attraction. The wreck lies at a depth of almost 40 meters, with the deck lying at around 30 meters. This wreck can be dived from shore which is what we did but during summer they often dive it by boat which means you can gain extra minutes on the wreck. Having said that there are also some really beautiful reefs with enough fish, plants and other marine life to make the diving very enjoyable. As it was only March I thought that the water would be really cold but with the correct wet suits on I never felt that the water was too cold, chilly yes, but not cold. The advantage in diving out of the main summer holiday season is that our group was small and then there is also the fact that accommodation and flights are much cheaper. During the winter months Paradise Diving dive mostly from the shore off Malta and Gozo. From May to October they have up to three boat dives a day, going to diving sites off Malta, Gozo and Cominetto. After each dive you will return to the beach enabling you to have lunch and spend some time with your non diving traveling companions. Can you learn to Dive in Malta? Sure, Paradise diving offer all level of courses from complete beginners where you can go an a “try diving” introductory dive to see if diving is for you before deciding on whether you want to take a course to get a PADI diving license. How much does diving cost in Malta? Prices are about 30 – 35 euros per dive depending on what diving equipment you need and if you are diving from shore or from a boat. You can also purchases packages or courses. 6 dives, from a boat, hiring all you diving equipment will cost around 190 euros. You can decide rather than just diving for enjoyment, you would like to take a PADI qualification to improve your skills. 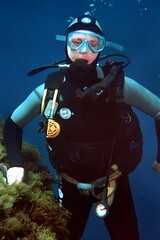 Discover Scuba with a certificate is about 80 euros Open Water Diver is about 350 euros. Rescue Diver about 330 euros right up to a PADI Divemaster Certificate which costs about 700 euros. I highly recommend you use Paradise Diving Diving School if you plan to dive in Malta, I had one of the best diving experiences of my life with them (and I'm not even getting paid to write this!) They were all friendly, helpful and totally professional - one of my top tips for Malta. If you would like any more information on a Malta diving holiday, diving prices, accommodation, etc Email Alison at Paradise Diving. Rugged Coast Adventures located right on the beach in the Adira Sailing Centre in Ghadira Bay near Mellieha sets the standard in Malta with the best sea kayaking equipment and best trained instructors. A typical kayaking tour takes you to some of the most scenic spots on Malta, and when you arrive you have time to do a little snorkeling or just unwind and take in the views. All levels of kayakers are welcome an they can offer trips to accommodate beginners right through to the very experienced. 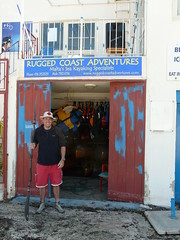 Rugged Coast Adventures is owned and operated by a really friendly American guy called Clark who has all the qualifications and is an ACA Sea Kayak Instructor as well as being BCU certified so that you know you are in good hands. 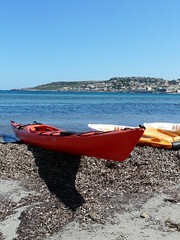 Discover Sea Kayaking is a tour designed for those new to kayaking where you will take a relaxing two hour tour of the bay in Mellieha and costs around 28 euros. Adventure Sea Kayaking for those after a little more adventure and includes a half day trip that usually begin from Mistra Bay or Gneja Bay and costs around 51 euros. All the tours include top of the range rudder equipped single or double kayaks, dry bag and other relevant kayaking equipment as well as drinks, snacks and basic equipment for snorkeling. 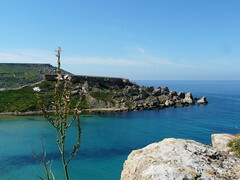 Again the climate as well as the spectacular coastline make Malta an excellent choice for a sailing holiday. Like Spain which is famous for it's golf holidays, Malta has an excellent climate for Golf. The Historic backdrop at the Royal Malta Golf Club make a round of golf well worth a try. 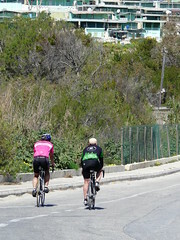 Malta's rural countryside and good roads make Malta an excellent destination to explore by bicycle. Most of the roads I have traveled on have an excellent surface and look perfect for cycling on. The main routes between towns will get busy with car traffic but there are plenty of back roads which are often more scenic and less busy. You could also just start your ride earlier before the heat of the day and when the roads get busier. What could be better than a sunrise over the sea, with the wind in your face and the hum of you wheels on the road below. Whilst unfortunately I did not have time during my last trip to the island, I did make some enquiries and found out that there are a few bike hire companies on Malta and definitely one on St. Paul's Bay and you do see a lot of road cyclists and people on mountain bikes out and about. If you are looking for a little more horsepower, there are a few companies that offer jeep safaris, a great way to explore to the maximum! The island has many spectacular as well as challenging rock faces ideal for the climber and i am told that there are plenty of places that you can go rock climbing in Malta. As well as walking the countryside with it's quiet lanes and breathtaking views, Malta is just made to be explored on horseback. 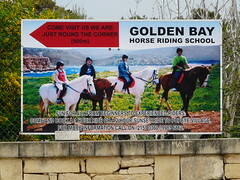 There are a number of stables that offer you the chance to go horse riding in Malta including one called the Golden Bay Horse Riding school located in between Manikata and Golden Bay. Traveling via the local buses is an excellent way to see many parts of the island, but you don't have the advantage of a guided tour. Malta, like London and many other large cities, has it's very own open top double decker sightseeing buses where you can just hop on and hop off. The cover pretty much all the main attractions with two routes, one on the north of the island and one in the south. All tours start at the Strand in Sliema just north of Valletta.